It’s done: 48th Edition – fatter than ever for all current V-Twins! 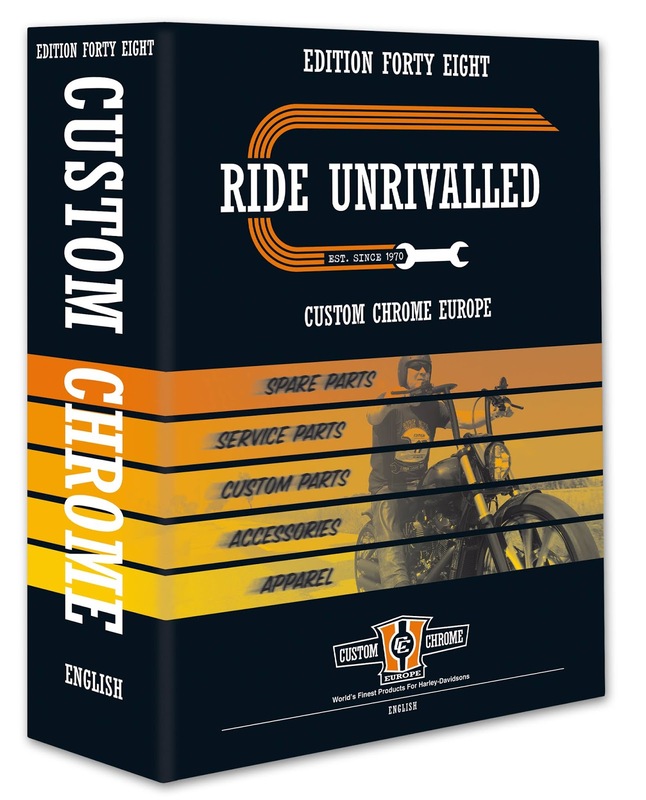 It's done and it's available: Following a year of concentrated work, including a quick response to Harley-Davidson's and Indian's new model lines with two fat Updates, the new printed version of Custom Chrome Europe's main catalogue is here. A must and standard for every CCE Dealer and Customizer, with everything you need for the latest V-Twin models – and continuously updated online with products for Harley's Milwaukee Eight bikes! Service-, maintenance-, custom-parts and accessories by renowned manufacturers from all over the world: Here you can find everything to operate and individualize any V-Twins of Harley-Davidson or Indian. Edition 48 is as close to the current models as never before. The print-version is available at all CCE Dealers, these are easy to find by using the Dealer-Locator on www.Custom-Chrome-Europe.com. New Products: More than 4.000! New: New custom-, spare and service-parts for Milwaukee Eight powered Touring and Softail models add many pages to Custom Chrome Europe’s ever-growing parts-range, but there are also a lot of new parts for Twin Cam riders and older HD model lines. New standards are set by E4 homologated exhaust systems of Dr. Jekill and Mr. Hyde and BSL. To offer CCE Dealers the best possible service to order the highly individual systems, an online configurator has been developed for these products. A multitude of innovative custom-parts were added by top-brands of the custom scene such as Thunderbike, Rick’s Motorcycles, Arlen Ness and Performance Machine. New in the CCE program are Screws4Bikes and 5-Star Seats. Just to mention it: All essential M8 service-parts are available from stock. CCE will further support the still active customizers of the 18-years existing Victory brand with parts and is aiming at an increased support of Indian dealers and customizers. All Kuryakyn Harley, Indian and Victory parts are available through CCE. 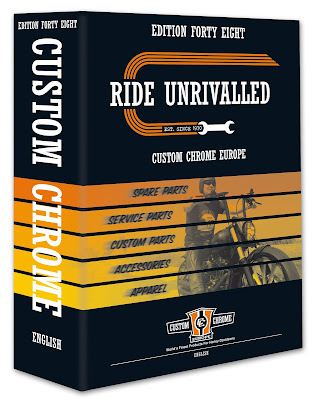 The 48th edition of the Custom Chrome Europe catalogue is a standard for all customizers! CCE’s Dealer Store is continuously updated with new parts and information and the PDF version of the catalogue 48 will be online and available for download by end of April. With great sadness we heard that Arlen Ness, The King of Custom, died on march 22nd. Besides Arlen being an inspiration for the whole international custom bike scene, he was an inventor, a customizer who set the standards and was a man with a gifted talent, who built custom motorcycles that were ingenious, with technical challenges, incredible craftmanship, beautiful flowing lines and an eye for detail that only a handful of people in the world has.